They say you never really leave the place you love, but rather you take a part of it with you, and a part of you stays behind. 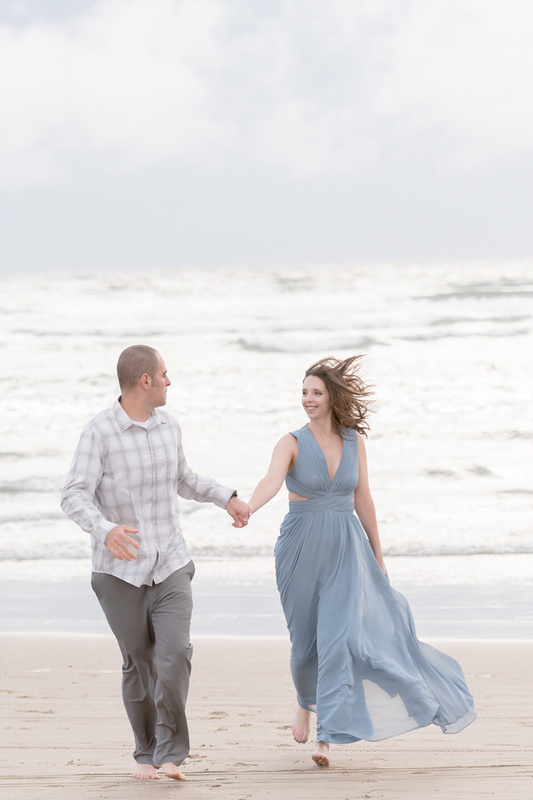 That is exactly how I felt when I joined Crystal and Matt in Cannon Beach, Oregon for their destination engagement session. You can just feel the photos through the photos all the love that Crystal and Matt share for one another and this town. 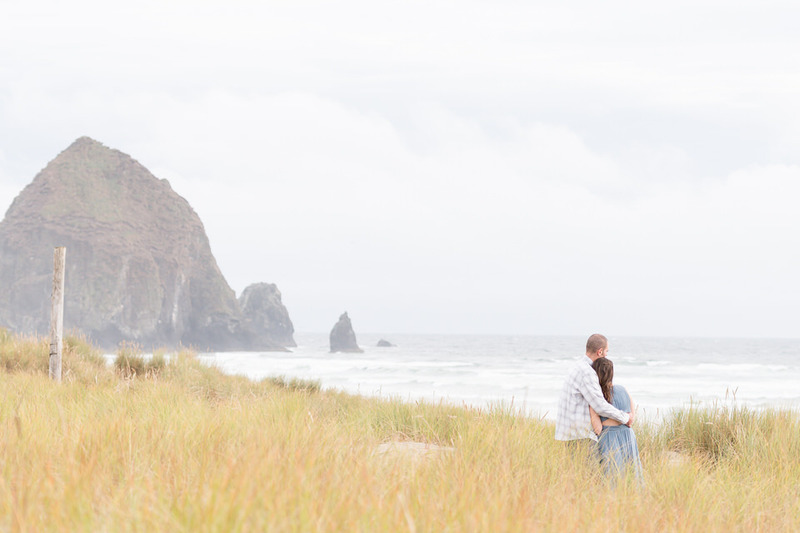 The idea to shoot at Cannon Beach was hatched over breakfast one morning when we met up to discuss the details of their July 2019 wedding. 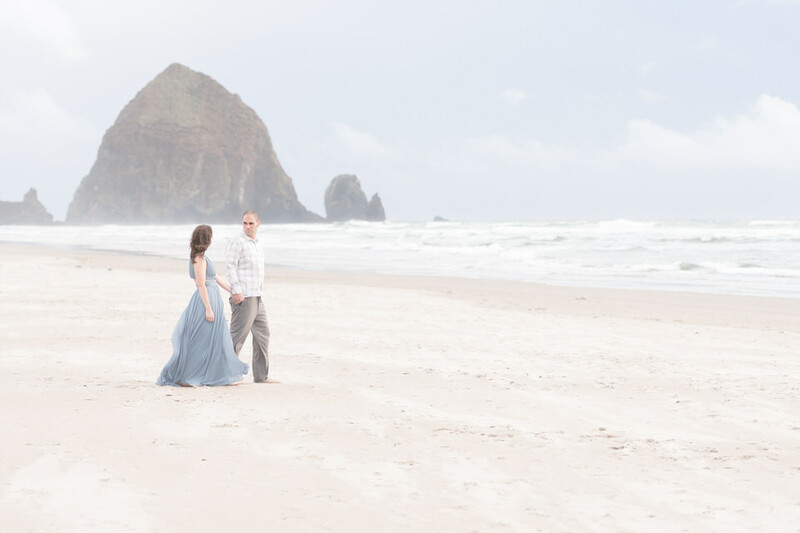 When they mentioned that they got engaged on Cannon Beach it only seemed right to return to such a special place for their engagement session. A quick check of my calendar and before we knew it we had our dates to head down to Oregon! 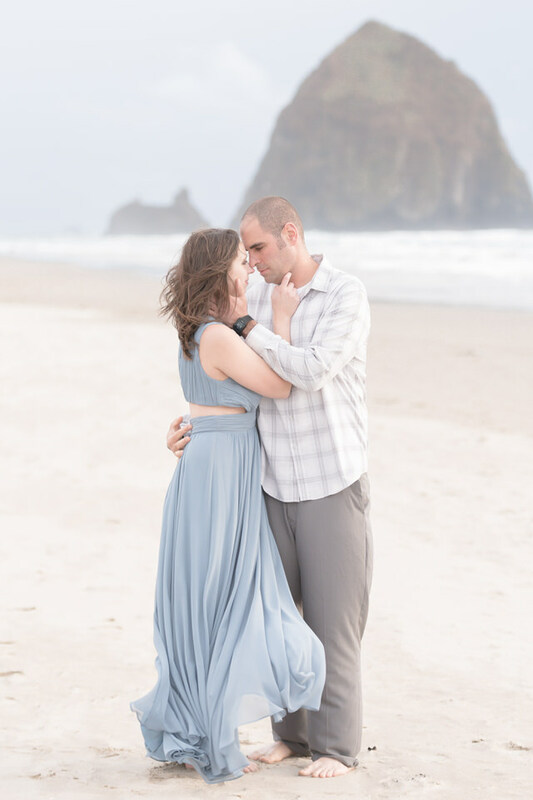 Haystack Rock is majestic, as is the beach, but I think Crystal’s maxi dress steals the show! I love the color and how it flows and the little peek-a-boo cutouts are stunning! For the other half of my engagement session with Crystal and Matt we meandered through all the quaint and charming shops along Hemlock St. You’d never guess it but it was raining off and on. Couples always ask me what I would do in the event of rain on the day of their shoot or wedding. In the Pacific Northwest the show must go on! I always try to work around bad weather but when it’s unavoidable I resort to Plan B—we take cover! 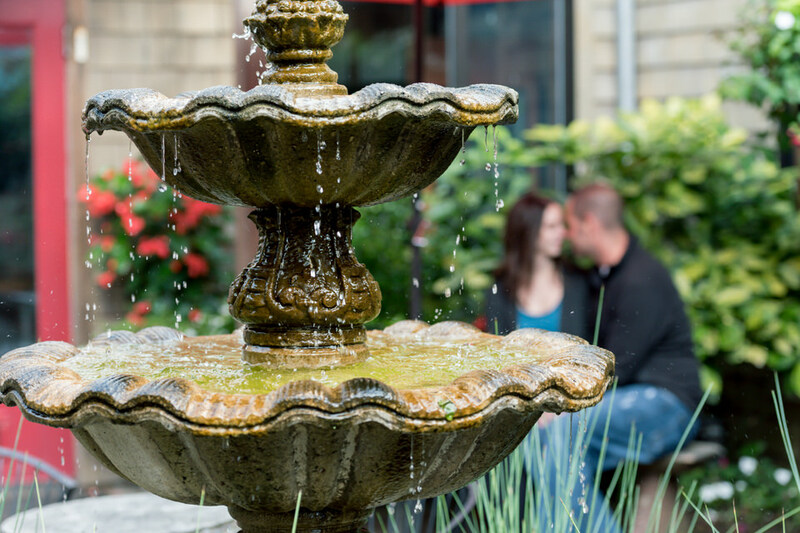 For these photos I simply took advantage of awnings, stairwells, umbrellas and tree canopies! We didn’t know if the beach shoot was going to be in the rain or not but Crystal so sweetly agreed to venture into the rain if she needed to! 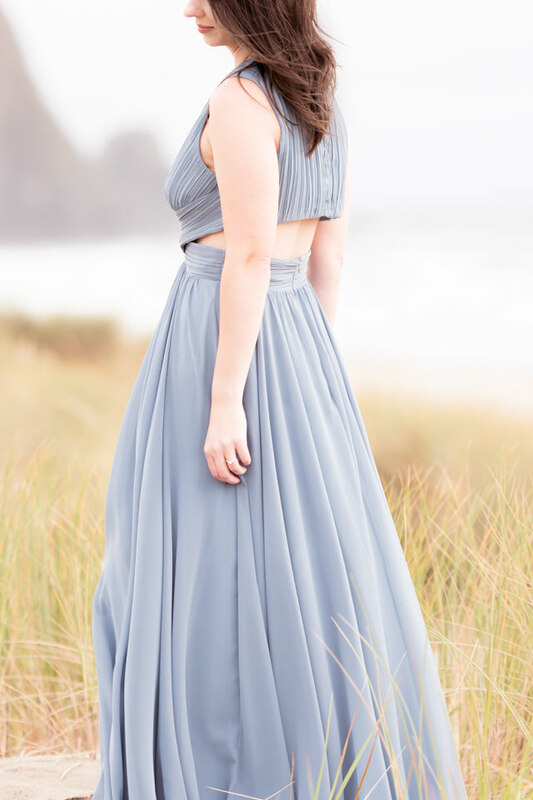 Luckily the skies parted at the beginning of the beach shoot and moments after we finished a massive downpour ensued. Fortunately too, I was staying nearby at the lovely Surfsand Resort where I dashed back to my room and watched the crazy storm with all the creature comforts —-a cozy robe & a glass of wine.